This is a very open-planned exhibition booth. Instead of walls, airy, lightweight pastel-coloured banners separate the consultation areas and attract visitors’ attention to the stand from a distance. 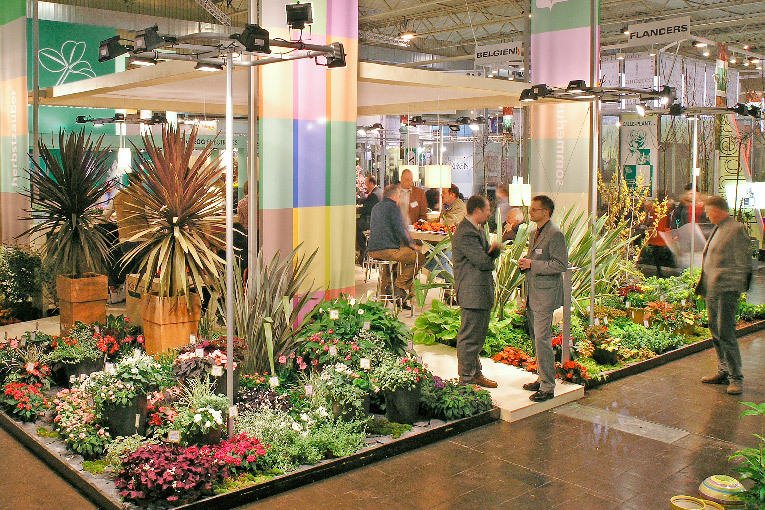 From all four corners, walkways between the spacious flowerbeds lead towards the middle of the stand – to the communications area with modern bar and table, all made of light coloured wood.